Sun Country Airlines canceled its last flights out of Mexico due to weather and told U.S. passengers with a return ticket they'd have to find another way home. The Eagan, Minn.-based airline said the cancelled flights were the last of the season and "we do not have another flight to reaccommodate passengers on," the Minneapolis Star-Tribune reported. 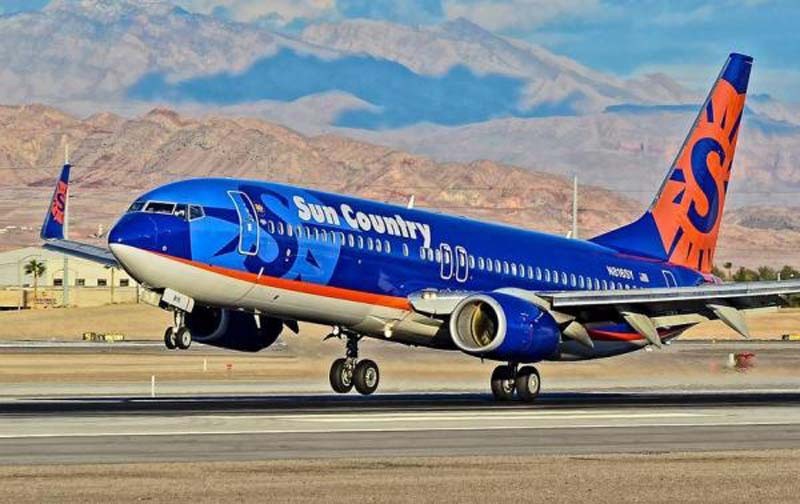 Sun Country offered passengers a refund for the return portion of their flight. But passengers would be responsible for finding a return ticket through another airline. "We apologize for any inconvenience this may cause," Sun Country said. Kelsey Dodson-Smith, vice president of marketing for Sun Country, told the Star-Tribune that the company couldn't send another plane because doing so would cause more scheduling problems. "As disruptive as the current situation is for the affected passengers, the alternative -- canceling other flights to other destinations -- would have been more disruptive to even more passengers," she said. Meanwhile, many Sun Country passengers are srtck in Mexico, trying to get back home to Minnesota. Sara Chancellor, of Brooklyn Park, Minn., told KARE-TV it cost nearly $4,000 for return tickets from Mazatlan, Mexico for herself, fiance and parents. "Saying it's their last flight of the season, you have to book with somebody else, good luck. Bring your fellow Minnesotans back," Chancellor said. "This is a Minnesota based company, where is the Minnesota Nice?"